The Chambord Royale combines the famous raspberry liqueur with a touches of cranberry and pineapple for flavor, and an ounce of vodka for kick. It’s a fruity little drink, but not overly sweet. 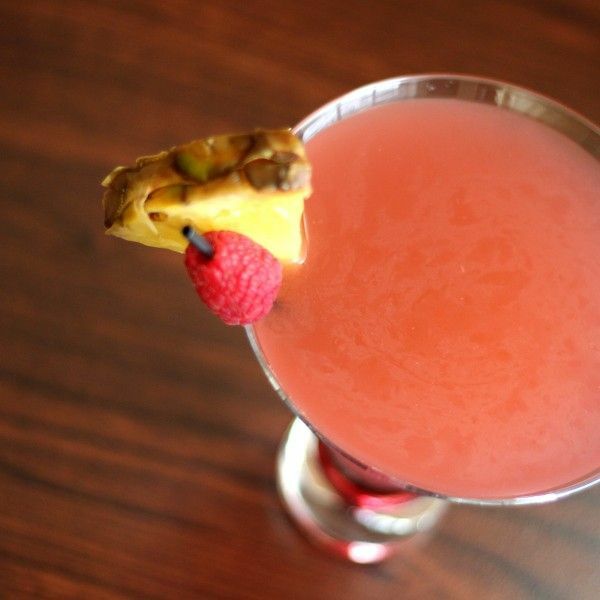 You’ll note the recipe calls for a splash of cranberry juice and a “bigger splash” of pineapple juice. What you want to do here is just barely splash a little cranberry into it, and the give a slightly more healthy splash on the pineapple. You can definitely just experiment and add both ingredients to taste, too. Fill a cocktail shaker with ice. Pour in the ingredients and shake until chilled. Strain the mixture into a martini glass.